Participant Media, Takepart.com, The Skoll Foundation, The Skoll World Forum on Social Entrepreneurship and The Skoll Global Threats Fund are philanthropic and commercial enterprises of Jeff Skoll. 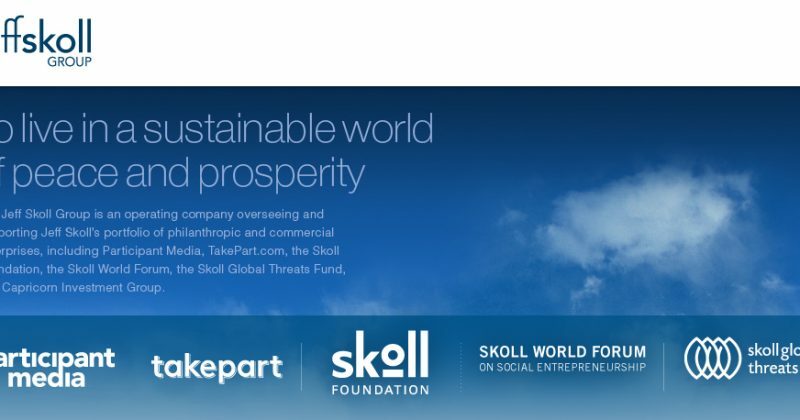 Click here to visit the website and learn more about The Skoll Group. Click here to learn more about Jeff Skoll.